A big thank you to everyone who brought in food for our collection. 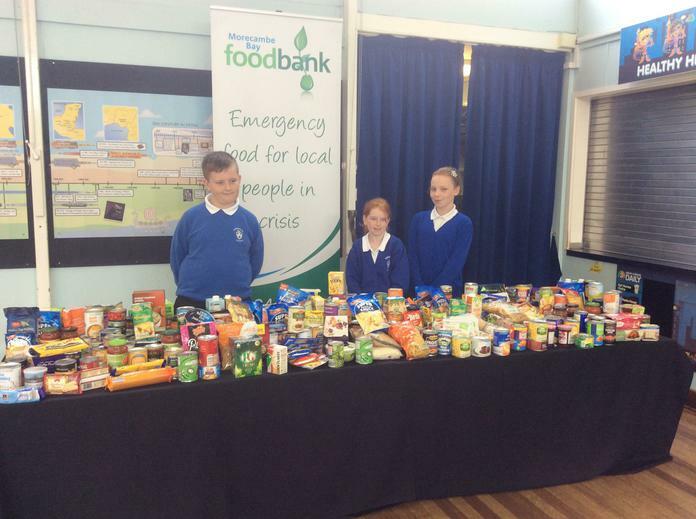 We collected a total of 136.8kg of food for the Foodbank, which was gratefully received. The children enjoyed a fabulous assembly with Debbie Green, which was all about loaves and fish feeding 5000. A very fitting theme!